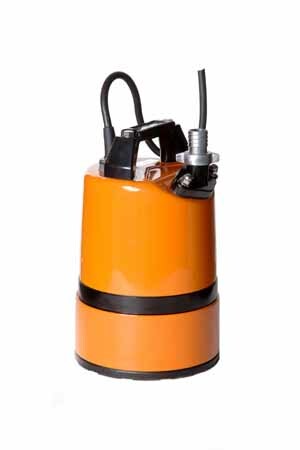 The Tsurumi LSC1.4S is a lightweight yet extremely robust, compact submersible pump for site use where water contains a lot of sand and silt in suspension. It pumps water down to 1mm, which makes it suitable for pumping large or small areas of nuisance water found on flat surfaces. It has a 25mm (1in) outlet and a tough pressed steel strainer base and body. It will offer excellent durability during periods of continuous use. It can be operated for long periods with little or no water. It has a dual position outlet port, to enable the user to position the outlet hose horizontally or vertically and avoid it kinking. Supplied with 10 metres of heavy-duty rubber power cable. Hose supplied separately. This pump has a 3-year guarantee.